David Austin Roses are known for their fragrance – in addition to their expanded color range and ability to flower repeatedly. 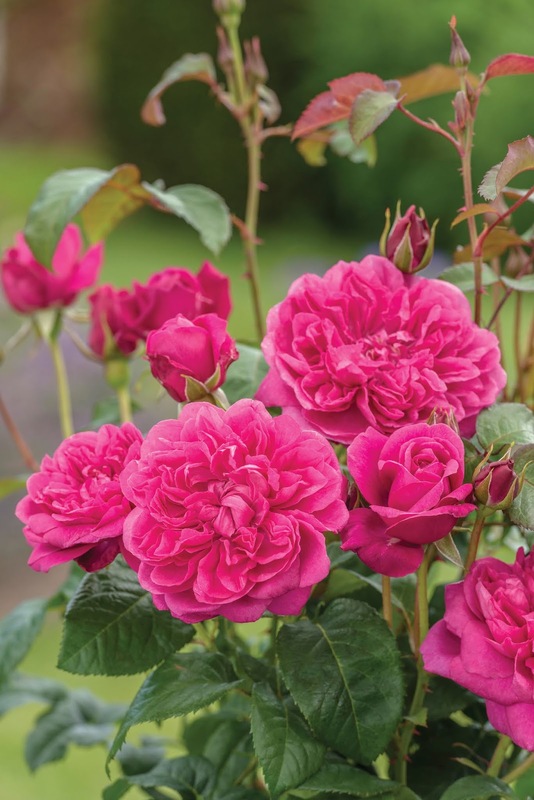 While many American gardeners plant roses to enhance their landscape, it’s important to smell the roses, too, according to Michael Marriott, senior rosarian and technical manager of David Austin Roses Ltd in Albrighton, England. The company’s founder, David Austin, was the creator of English Roses, which married the fragrance of Old Roses with the desirable traits of modern roses. This attention to fragrance set the stage for an extensive line of roses. 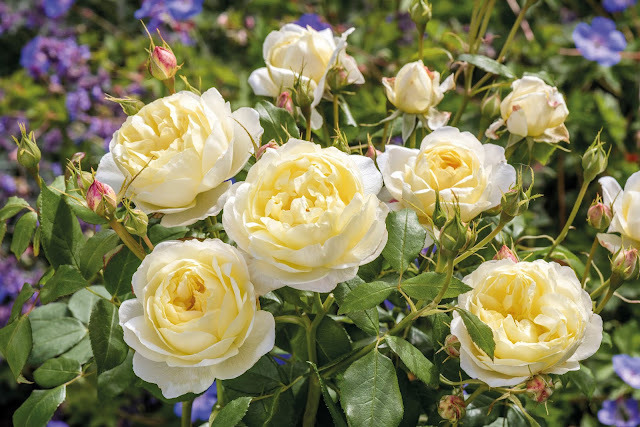 This year’s three new introductions highlight the impressive scent combinations that are bred into the roses. “Vanessa Bell” is considered one of the most free-flowering varieties that has been bred by David Austin Roses. The pale yellow flowers have a green tea fragrance with hints of lemon and honey. "Dame Judi Dench" David Austin Rose. Photo credit DavidAustinRoses.com. 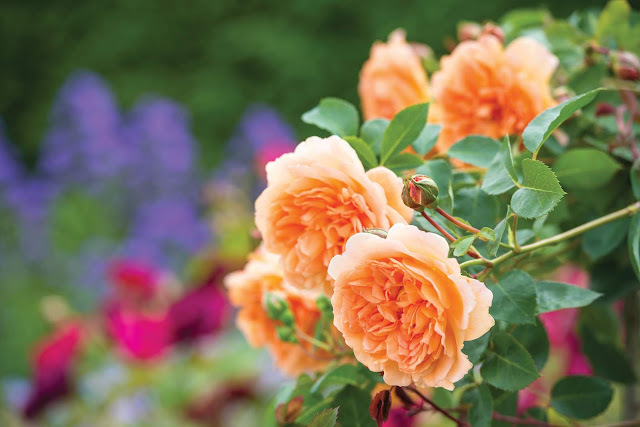 “Dame Judi Dench” offers large “sun-kissed apricot” color flowers with ruffled petals. It offers a tea scent with notes of cucumber and a hint of kiwi. "James L. Austin" David Austin Rose. Photo credit: DavidAustinRoses.com. “James L. Austin” has densely petaled flowers in a unusual shade of reddish-pink. Their fragrance evokes a mixture of blackcurrant, blackberry, raspberry and cherry, with hints of lemon zest and almond. 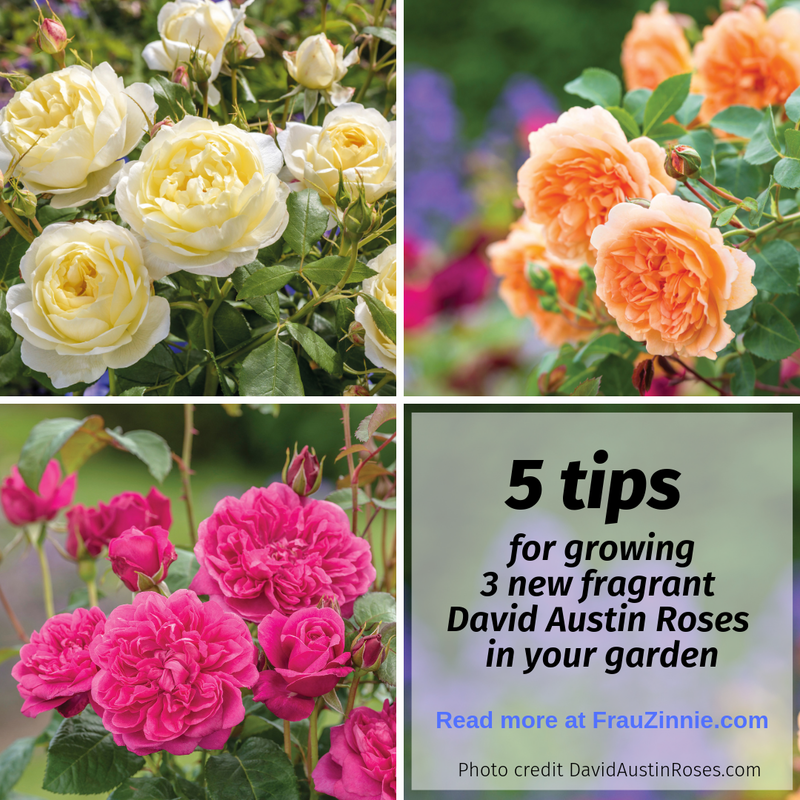 Even though our North American climate is different than that of England, the David Austin Roses that are available for purchase here are specifically selected for our growing conditions and climate zones. The three new varieties are hardy to Zone 5 — and in some cases, to Zone 4. 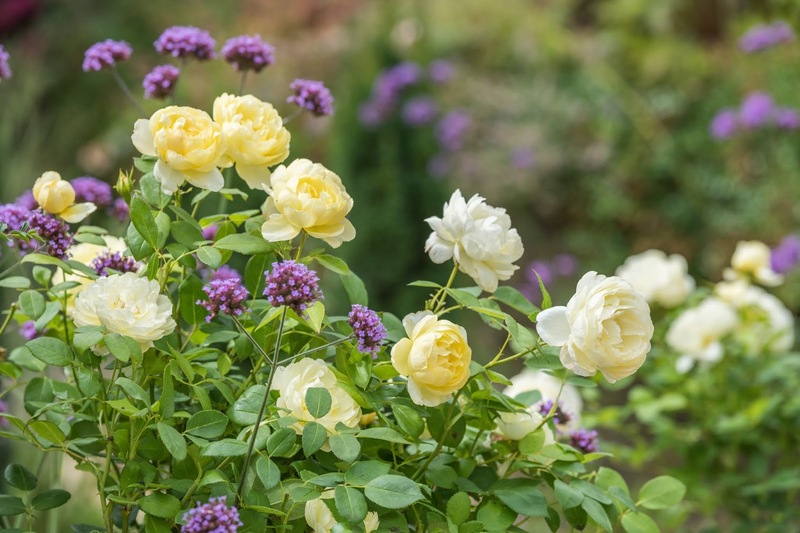 Marriott shared his tips to get English Roses off to a good start in the garden. 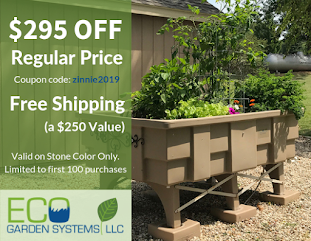 "Encourage all the insects — pests or beneficial — into your garden, and let them sort it out themselves," he said. "You need to get everybody in the garden to balance the ecosystem." Marriott is an organic gardener and incorporates plants that are attractive to beneficial insects. 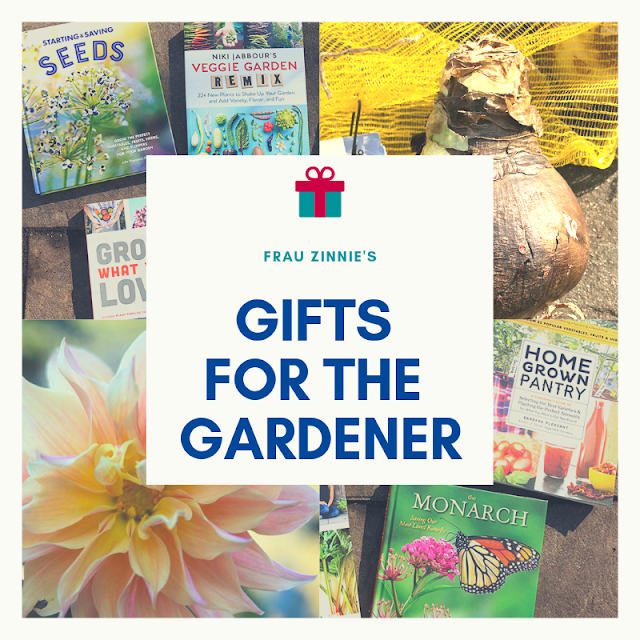 These good bugs include lady bugs, damsel bugs and lacewings, who will eat aphids, scale, mealybugs, thrips, mites and other pests. "One of the great secrets to success is to prepare the ground. All roses love humus rich soil,” he said. Make sure the soil holds its moisture well but doesn’t get water logged. Soil that is rich in microorganisms, along with worms and beetles, will help to aerate the soil. Instead of treating roses as specimen plants in the garden, incorporate them with other plants. “Plant roses close enough so they join up together and the soil below is protected,” he said. This way the soil will remain moist and cool. You will want to leave space and not plant right on top of the roses, so that the companion plants do not deprive the roses of food and water. Place companion plants 18 to 36 inches from the rose, based on the projected mature size of the plants. "You'll get the best show from full sunlight," he said. This is six hours or more. Also plant roses where they won’t be exposed to extreme afternoon sun. 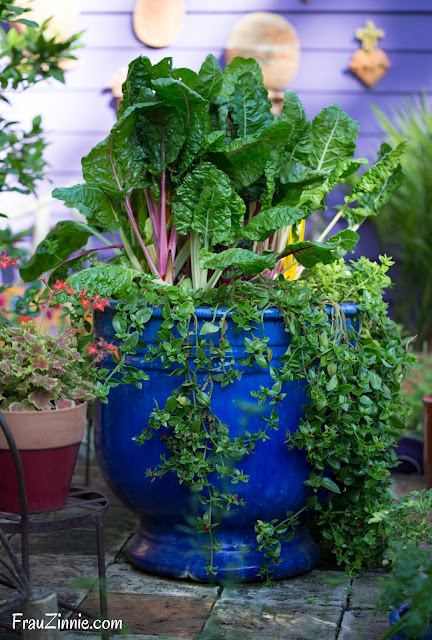 You can still grow them with less sunlight — a minimum of four hours. In the UK, this can even include roses growing along a north-facing wall with morning and afternoon shade. Be sure to leave enough air flow between the plants. Marriott recommends watering roses early in the morning, to give the leaves time to dry off. "Don't irrigate roses when leaves won't dry off," he said. "Blackspot loves that." 'Vanessa Bell' is seen with s late-season companion, a non-seeding hybrid Verbena bonariensis. Photo credit DavidAustinRoses.com. When planting roses in the garden, anything blue will pair well. “Vanessa” will look good with soft blue flowers and “Judi” will look good with soft lilacs. “James L. Austin” would grow well with a strong purple or a purplish-blue color, such as “May Night” salvia. To learn more about the three new David Austin varieties, click here.